The important part of a complete personality of a person is his attitude. In reality attitude is a psycho social concept which tells nature of the behavior of a person in different social situations. The thoughts and preconceptions of a person towards different people, things, organizations, situations, and ideas, decide the attitude of a person. With the help of attitude of a person it is possible to calculate and estimate about his personality. A special place is given to the attitude in the study of social sciences like psychology, sociology, education. This is the reason why knowledge, comparison and relation of attitude with different science have always been an important and interesting subject for psychologists, sociologists and educationists. For the study of attitude on the one hand there is a need of theoretical analysis while on the other hand a question of its measurement also arises. No doubt there is an importance of the measurement of attitude. In the following chapter various factors on the measurement of attitude are discussed in this chapter. What is attitude? To answer this question is as difficult as to answer about the personality of a person. It presents the feelings and beliefs of attitudes. It tells about what a person feels or what are his pre-facts on which he believes? The attitude of a person means his perspective due to which he behaves in a specific manner towards things, persons, institutions, situations, and planning sets. In other words, attitude is that tendency of a person’s personality which inspire him to take decision about his behaviors towards things, persons, institutions, situation; special kind of planning etc. The attitude is developed through experiences from past and by generalizing them. In the development of attitude of a person the manifest, emotional, inspirational and active parts of his personality are also included. Psychologists have defined attitude in different way. From the above mentioned definitions, it is clear that there are many differences in the various definitions of attitude but almost all the definitions are seem to be agreed with each other. Attitudes have relation with thing, person, situation, planning etc. Attitude can be positive or it can be negative. Attitude develops through experience. In other words attitude is a natural concept. Mostly, attitude is of a permanent nature, but a change is possible from time to time. In the development of personality, perception or emotional factors have an important role. Attitude is personal it means a change in attitude may be possible about some psychological thing. A difference may occur in an attitude of particulars person for various things or persons. Attitude attracts positively the behavior of a person. Attitude has relation with different type of behavior of a person. Some words like motivation, aptitude, interest, values, belief are used unknowingly by some persons these are used synonymously but in actual attitude have totally different meaning. Therefore it will be better to differentiate between these words. Although both attitude and motivation are the factors which affect behavior of a person, yet there is a lot of difference in both words. Attitude is more stable in nature then motivation. Origin of motivation depends up on time while attitude remains constant for a long time only in some special circumstances. When there is some deficiency motivation takes place and when the deficiency ends or the necessity is fulfilled the motivation ends. On the other hand attitude is based on self-experiences and in the absence or presence of deficiency it is not affected. Relation of motivation is more with active part attitude relates more with knowledge and emotional part. There is priority to achieve the goal in motivation, while in attitude a priority of thoughts is there to collect the experiences and work according to them. The area of attitude is wide than compare to motivation. There may be many motivations behind building attitudes. Both the words attitude and value represents mental factors of a person with other persons, things or situations, but is a difference between both the words. Attitude is intimate, while value is objective. In other words we can say that in determination of attitude an importance of self ambition is there, while in fixing value the importance is given more to related things or person. Attitude is a process of responding tendency about something or person. When attitude takes place as a goal, then it transforms in value. In this way attitude is the base of value. Attitude and belief both the words denote about the mental status of some person, thing or situation, but both the words have prospered different meanings. Belief in actual is a stable and expressed form of attitude. To launch in real attitude is very difficult task. Generally, person expresses his attitudes in the form of his beliefs. Attitude and interest both are aspects of the personality of human being, yet these both words have difference. Attitude may be in both senses positive or negative, while interest is only positive. In other words attitude indicates both the directions of reacting of a person- favorable- unfavorable, sadness- happiness, and acceptance- no acceptance, while interest indicates in only one direction. In interest person shows his interest only about that thing, which he likes, which gives him luxury, which is favorable for him, or which is beneficial for him. A person able to make his attitude positive by heaving an interest in a particulars thing, person or situations, so it is clear that attitude is vast than interest. Attitude and aptitude both have adequate differences with each other. Attitude is a specific type of angle which indicates on the basis of experiences the thoughts of a person about a particular thing, person or situation. On the opposite side aptitude is that mental ability of a person which indicates the possibility of a success of a person in a particulars field. Attitude is always earned while aptitude indicates about the ability of a person from birth, environment, education and training and a result of interest process which indicates a heavy success in a particulars field of a person. It is clear that attitude is a part of the personality of a person while aptitude is a special kind of mental ability. Attitude and Trait are also different. Trait is a explanatory word which represents the features of a personality, while attitude shows the tendency of behavior a person. 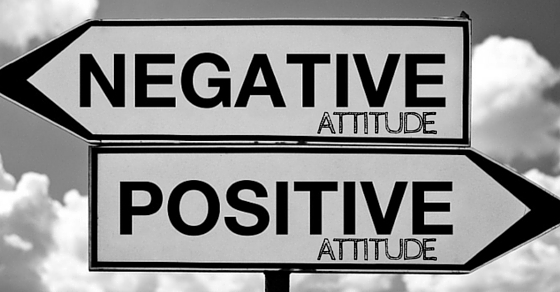 Attitude may be positive or negative, but it will not be reasonable to classify the traits. Traits are more generalized than attitude, which normally is of a specific nature.